Airbus and IAR Ghimbav sign contract for the manufacture of the H215M helicopter in Romania. The European company Airbus, a world leader in aeronautics and space services, and the Romanian company IAR Ghimbav, one of the local leaders in the aeronautic sector, have signed a 15-year long exclusive collaboration agreement. IAR thus becomes Airbus' exclusive partner for the manufacturing, in Romania, of the two-engine, multirole IAR-H215M helicopter. IAR will also be the main contractor for any future order from the ministry of defence aimed at replacing its aging fleet. A versatile aircraft developed based on Puma's experience, H215M benefits from latest-generation avionics, four-axis autopilot and a cockpit made entirely of glass and is suited to utilitarian missions in extreme conditions and in battlefield. H215M, which is the military version of H215, stands out for its robustness, competitive operation and maintenance costs, and the possibility to be equipped, depending on preferences, with ground-attack systems and air support missions. It is fitted with self-sealing fuel tanks, and has impact resistance and armoured protection. Enhanced attention is given to the pilot and co-pilot, who have impact resistant chairs, suitable in case of a crash or forced landing. Last but not least, H215M can carry up to 24 combat-ready soldiers, 6 wounded people on stretchers or 10 wounded, as well as medical staff. A historical cooperation is thus born between Airbus and IAR, said IAR's general manager Neculai Banea at the signing of the contract. 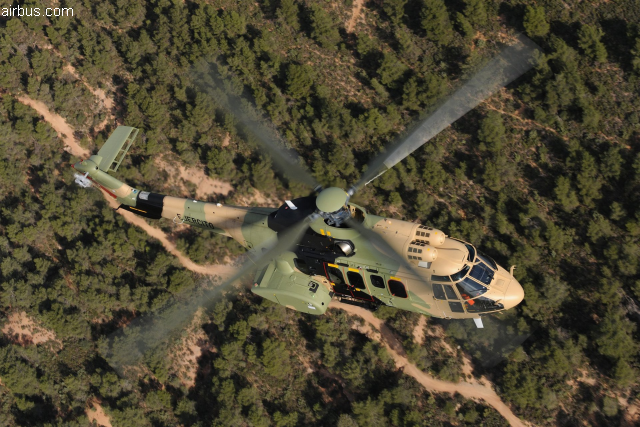 Olivier Michalon, senior vice-president for Europe of Airbus Helicopters, said his company's partnership with IAR in fact began a long time ago. For almost 50 years, he said, Airbus has supported the Romanian company not just by providing helicopter assembly and maintenance services, but also by constantly investing in and contributing to the progress of the aeronautic industry through unique educational programmes for the young generation. It is now the time for the two companies to look to the future with this new partnership on the manufacturing of the H215M helicopter. More good news comes from Craiova, in the south, from Ford. The American car maker is planning to employ 1,700 new staff to work on its new model. No details are as yet available about the new car or when its production begins. We do know, however, that the new employees, recruited from the surrounding area, will benefit from training courses in Romania and abroad. Ford last time hired 1,700 new staff to start production on its EcoSport model.